Morgan has unveiled a preview sketch of the EvaGT, a 2+2 coupé that will debut as a concept at Pebble Beach on next August. The car is currently being shot by Ambient Life photographer Tim Wallace and his work will start to be used in advertising and marketing for the Morgan Motor Company in relation to the EvaGT later this year. 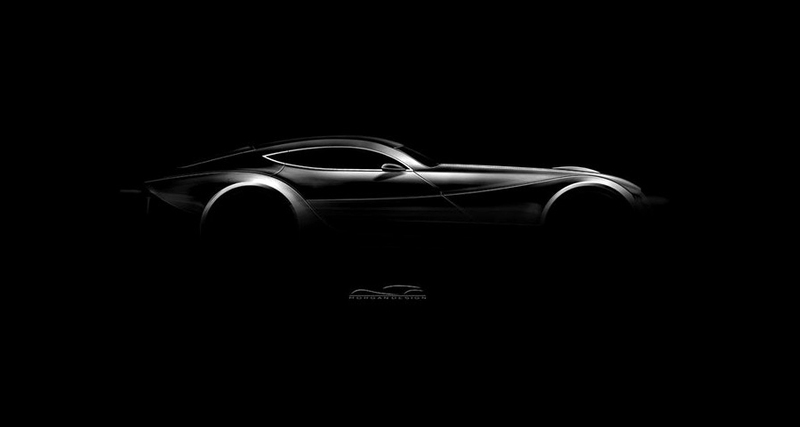 Morgan has unveiled a preview sketch of the EvaGT, a 2+2 coupé that will debut as a concept at Pebble Beach on next August. The car is currently being shot by Ambient Life photographer Tim Wallace and his work will start to be used in advertising and marketing for the Morgan Motor Company in relation to the EvaGT later this year. Tim is already heavily involved with Morgan after taking over their photography earlier this year and has so far been instrumental in several new brochures, amrketing material, a new look website not to mention exhibition work for Milan and Geneva events. Morgan Motor Company has announced its plans for a four-seater coupé - named EvaGT - which will be officially unveiled at Pebble Beach this August. The car is inspired by the British sportscars of the 1950's such as the Bristol 400 series and the Frazer Nash BMW 328: like these predecessors, the EvaGT will have an aluminum body and an inline 6-cylinder unit. The aluminum frame is the same of the Aerosports. The bodywork will feature minimal shut lines, hidden wipers, flush door handles and sharp creases deflect air over the surface of the car, and will be manufactured using superformed aluminum technology. The panels will feature a laminated internal safety structure. The EvaGT will be powered by an Euro 5 and 6 compliant BMW 3.0 liter V6 unit, coupled with a six speed manual gearbox. Projected performance figures include a top speed of 273 km/h and a 0-100 km/h acceleration in 4.5 seconds. The weight will be limited to just 1,250 kg. The first public view of the Morgan EvaGT will be at the 60th Pebble Beach Concours d'Elegance, Carmel, California, USA on the 15th August 2010. The Morgan Motor Company will be taking orders worldwide with a request for a deposit of £5000 from prospective clients for an allocated build slot. The first 100 cars of a limited run are planned to begin production mid 2012.